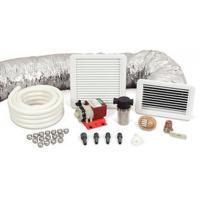 MARINE AIR	There are 82 products. 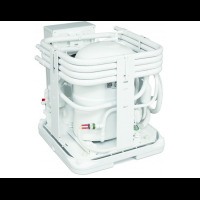 MARINE AIR Systems and CRUISAIR have both merged under one DOMETIC Line, available here. All the same units are available, but with new part numbers. 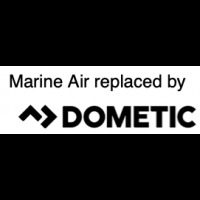 Feel free to look up your MARINE AIR unit below, and it will lead you to the new Dometic replacement number. Vector urbo Unit Self Contained AC Unit R410A, U Control Board (Display & Cable Not Included) / 8,000 BTU / 230V / 60Hz / 410A. 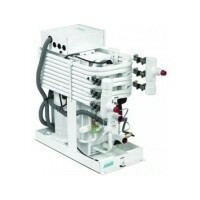 Reverse cycle, heat pump. 2 Year Warranty. * MFG#: 205563300. *Replaced by DOMETIC DTU8 TURBO UNIT / 230V - 205162100. Vector Turbo Unit Self-Contained AC Unit R410A w/ Smart Start, U-Control Board (Display & Cable Not Included) / 12,000BTU / 115V / 60Hz. 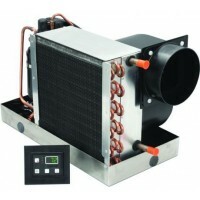 Reverse cycle, heat pump. 2 Year Warranty. * MFG#: 205561503. Vector Turbo Unit, R410A, w/ SmartStart. 6,000 BTUs, 230V. Reverse cycle. 2 Year Warranty. * MFG#: 205563203. Vector Turbo Unit, R410A w/ Mechanical Control (not included). 8,000 BTUs / 115V. Reverse cycle. 2-Year Warranty. * MFG#: 205561335. No longer in production. Replaced by DTU8 115V Part Number: 205160080 (Click Here to View). Mechanical control should also be replaced for a digital control. Vector Turbo Unit, R410A w/Mechanical Control (not included). 10,000 BTUs / 115V. Reverse cycle. 2 Year Warranty. * MFG#: 205561435No longer in production. Replaced by DTU10 115V Part Number: 205160100 (Click Here to View). Mechanical control should also be replaced for a digital control. Vector Turbo Unit, R410A w/ Mechanical Control (not included). 12,000 BTUs / 115V. Reverse cycle. 2 Year Warranty. * MFG#: 205561535. No longer in production. Replaced by DTU12 115V Part Number: 205160120 (Click Here to View). Mechanical control should also be replaced for a digital control. 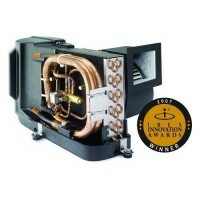 Vector Turbo Unit, R410A w/ Mechanical Control (not included). 16,000 BTUs / 115V. Reverse cycle. 2 Year Warranty. * MFG#: 205561735. No longer in production. Replaced by DTU16 115V Part Number: 205160080 (Click Here to View). Mechanical control should also be replaced for a digital control.